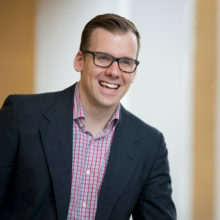 JP Michel is the founder of SparkPath and the recipient of the 2017 Outstanding Career Professional award from the Career Professionals of Canada. His work on careers has been featured on BBC.com and CBC radio. JP has a B.A in Psychology from the University of Ottawa and an M.Sc. in Organizational Psychology from the University of Manchester. To learn more about his work, please visit www.mysparkpath.com.